RAPAPORT... 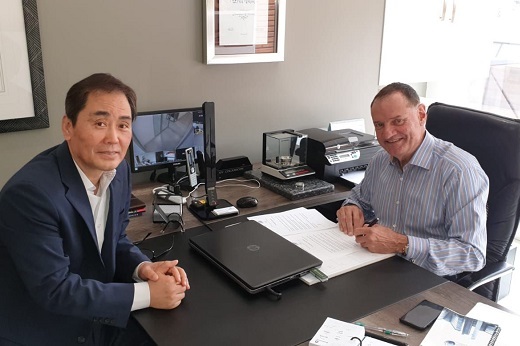 The World Federation of Diamond Bourses (WFDB) has agreed to help promote business for the Korea Diamond Exchange (KDE). The trade bodies signed a cooperation agreement in Johannesburg, South Africa, last week, with the WFDB committing to assist the bourse in lobbying the South Korean government on matters relating to the diamond trade. The trade bodies will work together to build up the South Korean diamond industry, as the WFDB has been doing for China’s Shanghai Diamond Exchange, the federation added. The KDE, which was established in 2011, was instrumental in getting the South Korean government to reduce taxes on diamond imports in December, the WFDB said last week.